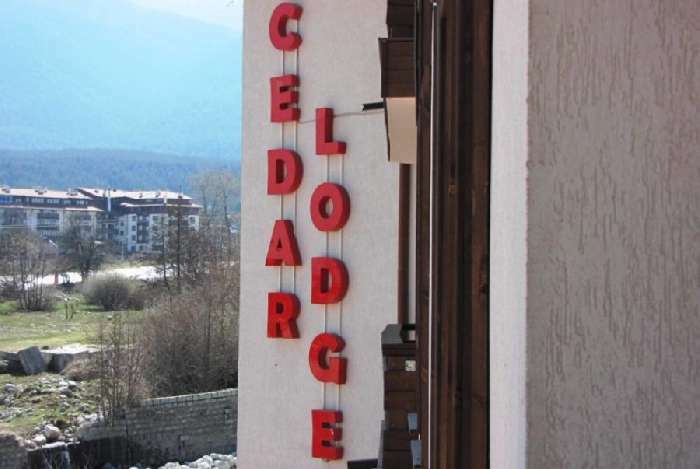 Cedar Lodge 2 is a lovely complex located in the ski resort of Bansko. 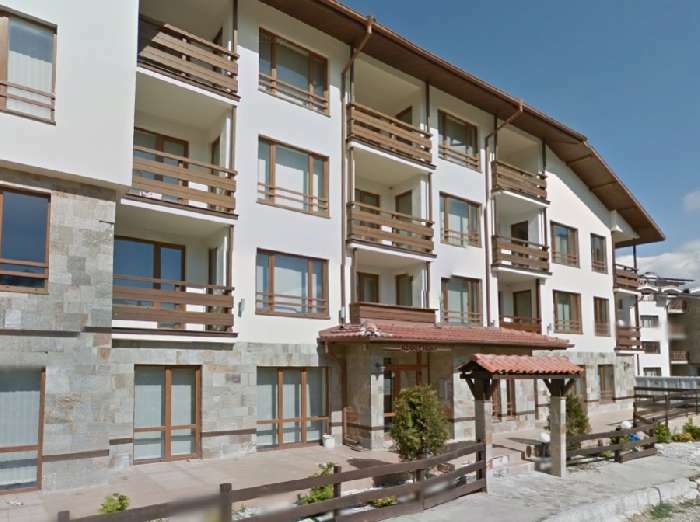 The complex is in a quiet area yet only a short walk from the gondola and the town centre where there are many shops, cafes, bars and restaurants. 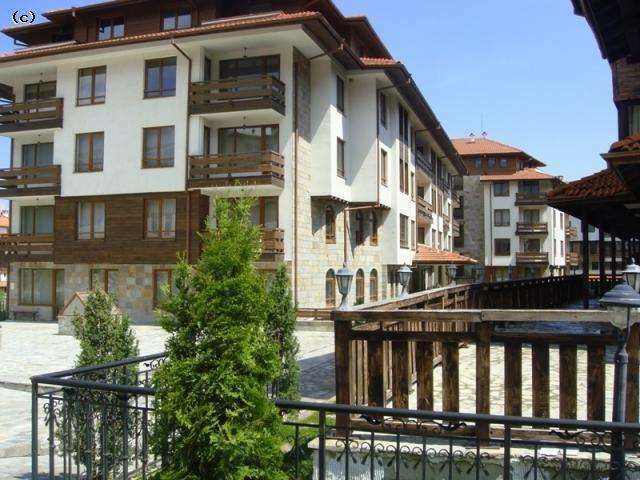 Bansko is open all year round and this is a great place to buy an apartment in Bulgaria! The apartment on offer is on the first floor and is fully furnished. It comprises an open plan lounge with dining area, a fitted kitchen, double bedroom and a family bathroom. There is a private balcony where you can relax and enjoy the views of the mountains and surrounding countryside. Bansko is one of the largest ski resorts in Bulgaria and is located at the foot of the Pirin Mountains near the Glazne River. The resort offers excellent ski runs for professional and amateur skiers and the safe runs are maintained in great condition. The resort is open all year round so the rental potential is phenomenal. There is skiing, snowboarding and sledging in the winter months while during the warmer months there is hiking, mountain climbing, cycling, fishing and some excellent golf courses. 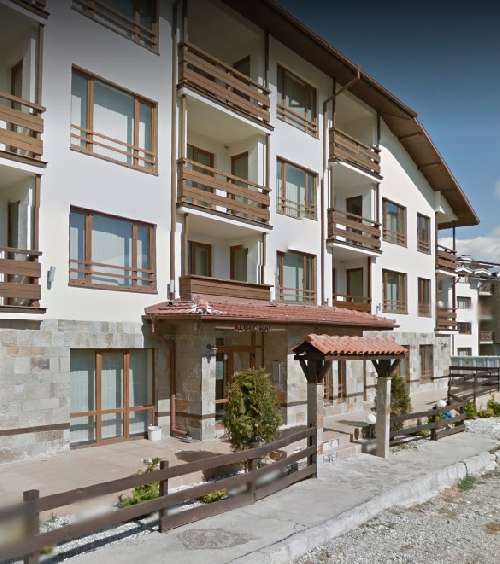 Cedar Lodge 2 is a popular complex due to its location and this apartment for sale in Bansko is a great investment opportunity.